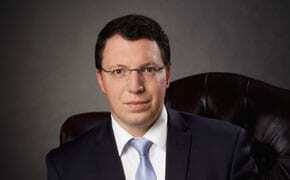 Dr Dvir Abramovich has been re-elected chairman of the Melbourne-based B’nai B’rith Anti-Defamation Commission. At the national organisation’s AGM, Abramovich said: “I am honored and humbled that my colleagues have again entrusted me with the great responsibility of leading this remarkable organisation and am excited by this call to service. Once again, the ADC has delivered and the progress we have made bodes well for our future success. By every measure, 2014 has been an extraordinary year of inspiring activism, dynamic growth and bold outreach. Our accomplishments are numerous. In my second term, I look forward to ensuring that we build on our achievements and continue our mission of fighting anti-Semitism and the defamation and delegitimisation of Israel, and making our country a more inclusive home for all, and where diversity is cherished and where being different is not a liability. There are growing challenges facing the Australian Jewish community and I am confident and optimistic that we can address such trials with our hallmark dedication and through educational initiatives such as our groundbreaking school program Click Against Hate that is now running in many public schools. Dr Abramovich thanked outgoing board members and welcomed Leon Goldberg and Morris Tobias as Vice-Chairmen, Lesley Gaspar as Secretary and Irene Bud as Treasurer. Dvir has been for years an articulate and tireless voice, particularly in the printed Jewish media ( actually the only Aust. Jewish newspaper, the AJN) prior to his appointment at the Bnei Brith. Congratulations Dvir. A man living, breathing and acting upon his own true values. I wish you well in this important position for another 12 months. Abramovich’s failed attempt to conflate anti Zionist attitudes with racism against Jews, is the sure sign of an organisation sliding sideways.